Ticks are nasty parasitic creatures. Not only do they ambush you and latch on with their mandibles, but they can quickly pass terrible diseases on to you as well. 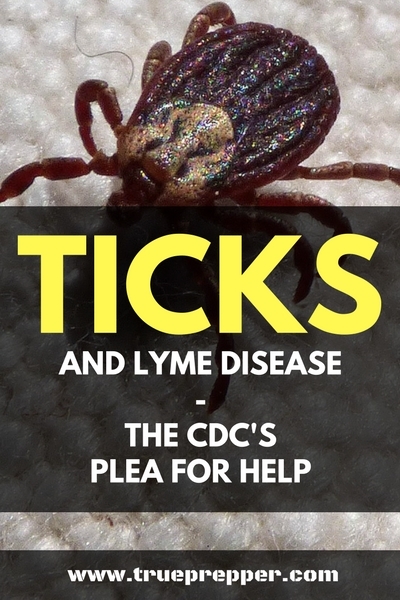 The Center for Disease Control (CDC), which monitors and prepares for outbreaks, epidemics, and pandemics, has a standing plea to prepare for and prevent tick bites. Lyme disease is on their radar, and they want us to avoid contracting it and possibly even spreading it to our children. In this post we will break down the different diseases ticks carry, how to remove a tick, and the multiple ways you can prevent a tick bite in the first place. The full list goes on and on, and learning to identify symptoms of the worst ones can help you prepare for an encounter with one. Lyme disease tops this list as it is a hard one to diagnose, but can debilitate you for the rest of your life and even be passed on to your children before they are born. Many people diagnosed with Lyme disease also have HGA and babesiosis transmitted by the tick, which can even further complicate diagnosis and treatment. Ticks relish areas that are heavily wooded, have tall grass, or plenty of ground brush. When you go outside camping, hiking, gardening, or hunting- you are probably in their backyard. If you venture into these areas, you need to know how to protect yourself, treat your clothing, and remove ticks if you spot them. Wearing white or other light colors can help you spot ticks more quickly, so you can brush them off before they bite. Deer and ticks happen to run in the same circles. They enjoy the same habitat, and a tick is more than happy to make a deer its own habitat. One easy way to reduce your chance of encountering ticks is by avoiding deer. Deer are the preferred host of the formidable deer tick or black-legged tick. They also latch on to mice, lizards, and birds. Deer ticks are the main vector for Lyme disease in the US. Since deer are the main prey of a deer tick, staying clear of deer can reduce your chances of being bitten by a deer tick and subsequent Lyme disease infection. We used it in the military, and it is pretty powerful stuff to treat your clothes, shoes, and equipment. It’s easy to use and apply, and it just takes a little forethought so you can have enough time for it to dry. Once you apply it to your clothing, it works as a great insect repellent and can be the first part of your defense against ticks. Sawyer makes some pretty strong and resilient treatment: Sawyer Permethrin Clothing Insect Repellent. DEET is the well known mosquito and tick repellent main ingredient. It’s been proven to work well and is the most common active ingredient in off-the-shelf insect repellents. DEET stands for N-Diethyl-meta-toluamide so we are pretty luck it condenses down to an easy to remember acronym. DEET has been proven by studies to be generally safe to use, although many are wary of it due to its potency towards insects. People are so wary in fact that one of the most searched terms on Google for DEET is “Can you get cancer from DEET?” The answer is complicated, in that studies have not provided enough evidence to say whether it does or does not cause cancer. Picaradin (also known as icaridin) has been shown in studies to be just as effective as DEET in repelling most insects. Picaradin has the benefit of being odorless and not greasy like DEET repellents can be. Only a limited number of repellents use picardin, and they typically cost a little bit more. Unfortunately, studies do show that DEET is slightly more effective at preventing tick bites. Any slight effectiveness could make the difference on getting a tick bite, so DEET wins out the comparison for ticks despite it’s drawbacks. 30% DEET content is recommended for repelling ticks, and Ben’s Repellent starts off with that DEET content: Ben’s Mosquito and Tick Repellent. Besides these tools, tweezers or some other method of getting a skinny, sturdy material between the head and your skin is the best method. Just pinching and pulling the body of the tick can often pop off the tick’s head and leave it attached to your skin. After you remove a tick, you’ll want to watch for any red flags that may indicate that you picked up a disease from the tick. Those red flags could include fever, rash, and odd behavior. 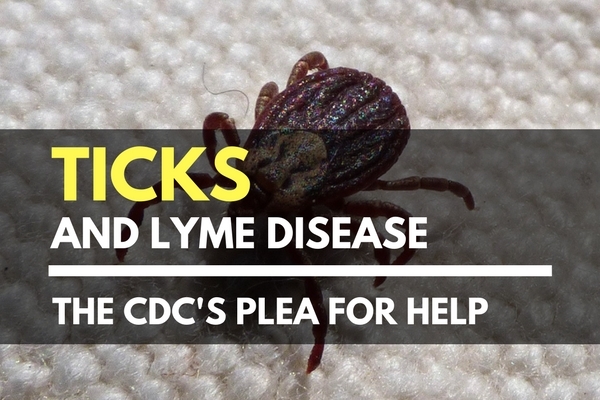 If a tick passes Lyme disease to you or someone in your family, it can become a nightmare. Identifying the conditions and symptoms and treating the disease can be extremely difficult. The best way to avoid all of this is to be smart and heed the CDC’s warning about protecting yourself. Prevention is paramount when it comes to tick bites, so make sure you prepare before you head into the woods. Keep exploring, stay prepared, and be safe.